California Gov. 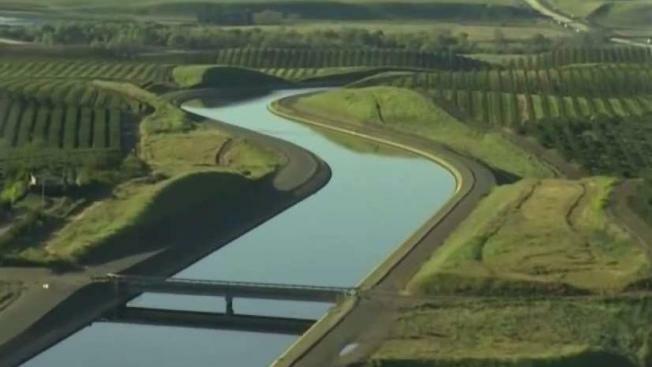 Jerry Brown's twin tunnel project in the Sacramento–San Joaquin River Delta could receive a significant boost thanks to one Bay Area water district, but that extra help could result in higher water bills for some customers in the South Bay. California Gov. Jerry Brown's twin tunnels project in the Sacramento–San Joaquin River Delta could receive a significant boost thanks to one Bay Area water district, but that extra help could result in higher water bills for some customers in the South Bay. While the Contra Costa Water District discusses the future of the project later Wednesday, the Santa Clara Valley Water District will vote on the amount of money it will allocate toward the project — a decision that could ultimately increase water bills for folks in the South Bay in the coming decades. According to a staff memo, bills for South Bay water users could increase by as much as $10.26 per month by 2033. That would happen if the Santa Clara Valley Water District board votes to allocate $200 million to fund the project. Gov. Brown's water project would include two 35-mile long tunnels diverting part of the state's largest river in Sacramento to supply water to the Bay Area, San Joaquin Valley and the southern portion of the state. As first reported by the Mercury News, the South Bay district is taking the vote not long after the California Water Commission recommended $485 million in funding for the Pacheco Pass Project, which would provide funding for a new dam near Pacheco Pass in southeastern Santa Clara County.